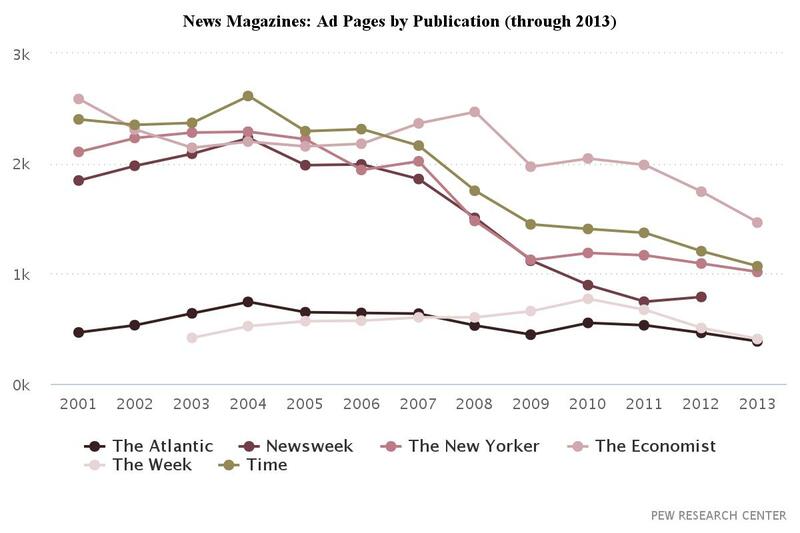 For a long time now, magazines have been in trouble. Everyone knows it. 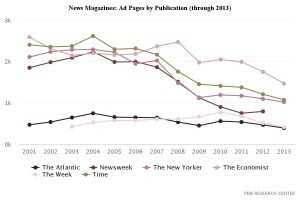 Below, Pew research shows slow deflation of ad sales over time for many of world’s most popular magazines. Back in 2008, when I was still working at an ad agency and I was buying magazine ad pages, I thought about the issue and concluded that the key to keeping magazines in business was the magic element of content curation. Content curation is the process of organizing content in a way that hangs together artfully and, in sum, has a greater impact on the reader than each article would in isolation if experienced separately. Obviously the internet has meaningfully hurt the magazine industry because people can get access to information much more quickly than ever before (sorry weekly news magazines). However, a downside of the internet is that it is so sprawling and messy. How do you know that you can trust what you read on the internet? How do you keep from spending all day looking for useful information amid the internet trash heap? That’s where magazine curation comes in. In 2008, I was sure that the future of magazines was well-curated content organized by a professional editor. Done and done, magazines saved. Well recently I had an experience that has caused me to take a closer look at the future of magazines. I recently subscribed to the print version of AdAge Magazine, a trade publication covering the advertising industry (to be fully transparent, they offered it to me for free, but I took the five minutes to sign up on their website, so there was some opportunity cost). When I completed the registration I envisioned myself, each week, sitting down reading through the magazine. I would put my feet up, make a pot of hot tea and absorb the well-curated, glossy 12×18 inch publication. So what has actually happened? Well, there’s a large pile of unread AdAge magazines on my desk at work now. Why haven’t I read them? Based on my thesis, the curation of the magazine should have provided enough value for me to look inside. But still, I didn’t. I didn’t even give them away to people – no one wanted to read them. And we work in the ad industry! 1) Curation is definitely valuable (in that sense, 2008-me was correct). However the curation offered by the magazine just isn’t good enough. Let’s say inside any given week of AdAge Magazine there are 10 articles (it’s a pretty short magazine). Out of the 10, two or three of them might be relevant or interesting to me. Well – if I have to page through the magazine to find that two or three, that takes time. Also, some weeks there might only be one or even zero relevant articles. In stark contrast to the magazine, LinkedIn and Facebook have each developed an algorithmic-based approach to show me only articles that are relevant to me based on what my friends like and have shared. This “personalization” approach, now possible with social networking, has provided far more accurate curation than magazines ever could. 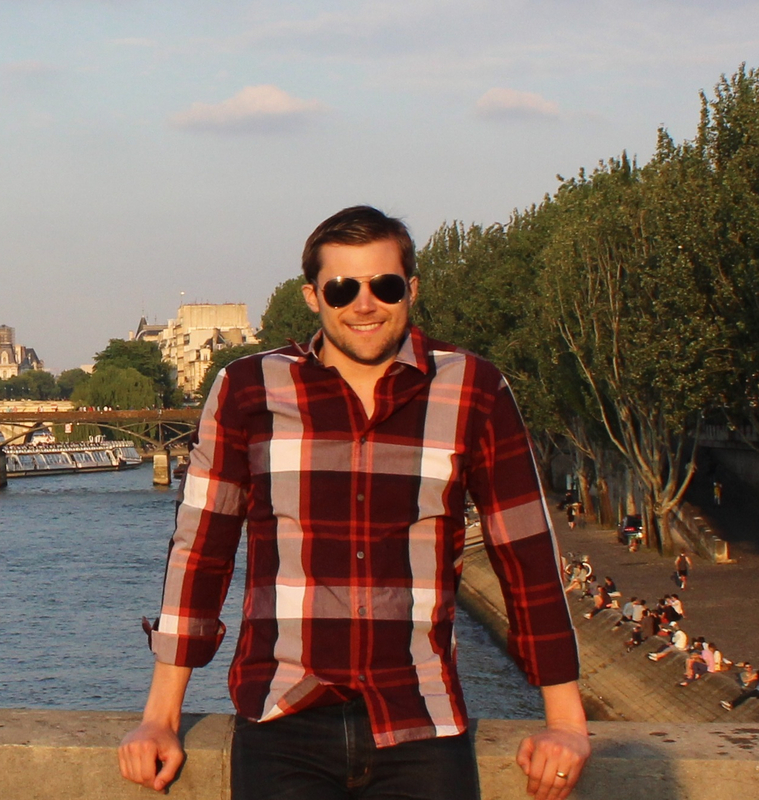 In a sense, the concept of personalization has completely trumped curation. Personalization is like curation designed for only one person. 2) It’s hard to share. If I see an article I like in the magazine – I can really only share it with people that I come into physical contact with and I can only share it with one friend at a time (unless I look it up on the internet and share the link). For me, sharing interesting articles, and reading the articles other have shared, is a huge part of the news reading value proposition. It’s true that the physical magazine is more tangible than the web version, but in my experience sharability trumps tangibility. Sorry magazines, I tried to figure out a way to save you, but you’re in for a rough road ahead.